I enjoy fresh foods that pack a lot of flavor. I am often inspired by a specific ingredient me to try something new. 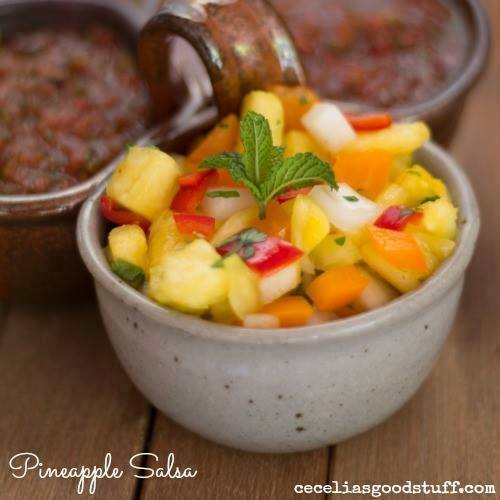 I made this fabulous and tasty pineapple salsa to serve along with some fish tacos. It was the perfect combination because it was fresh and tasty. The pineapple gave it a sweet bite and the jalapeños were spicy. The fresh squeezed lime juice added a perfect balance for this dish. I was pleasantly surprised how all these ingredients worked so well together. So here it is my version of Pineapple Salsa. Directions: mix all chopped ingredients in mixing bowl. Refrigerate for up to two hours to chill and serve. Serving Suggestions: Enjoy with fish, pork, chicken or great as a side salad over mixed greens. 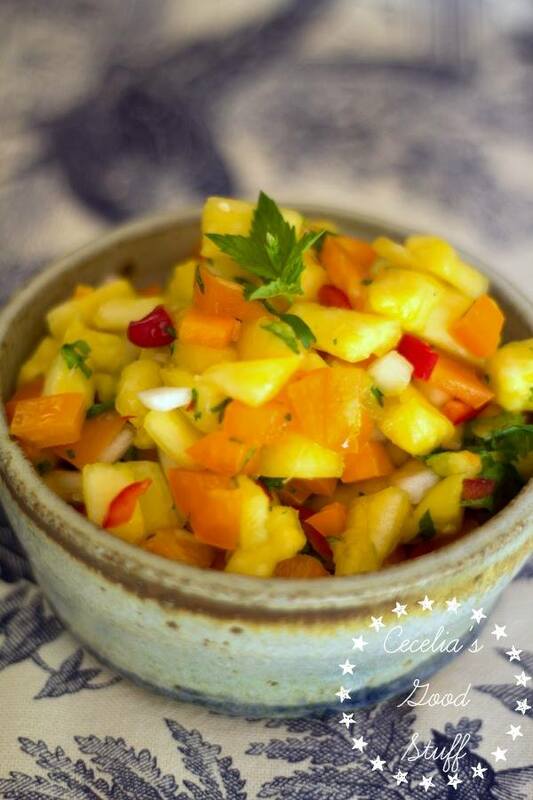 Delicious and freshing Pineapple salsa. Great with tacos, fish, pork and chicken. YUM! Absolutely love this fusion of flavors. Salsa is one of the best snacks! Thank you so much Jeni! Salsa is a great healthy snack!